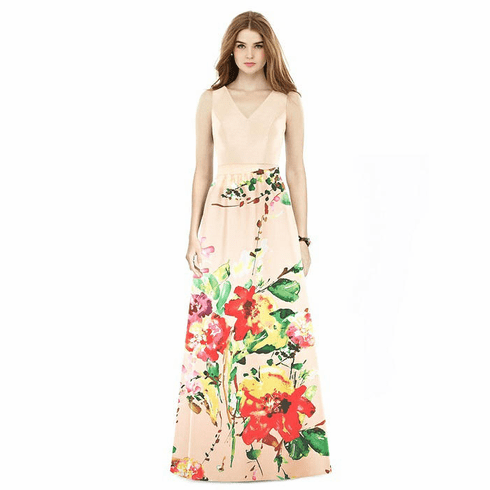 Description: Full length sleeveless v-neck sateen twill dress with v-back. Matching 1.5" belt at natural waist. Pockets at side seams of shirred skirt. Belt always matches print. This style is available in a blush bodice with blush bouquet skirt, white bodice with white bouquet skirt, black bodice with botanica print skirt, and black bodice with polka dot print skirt.